Ah Pinterest. You always give me such good ideas that fill my fridge (and freezer) with yummies. 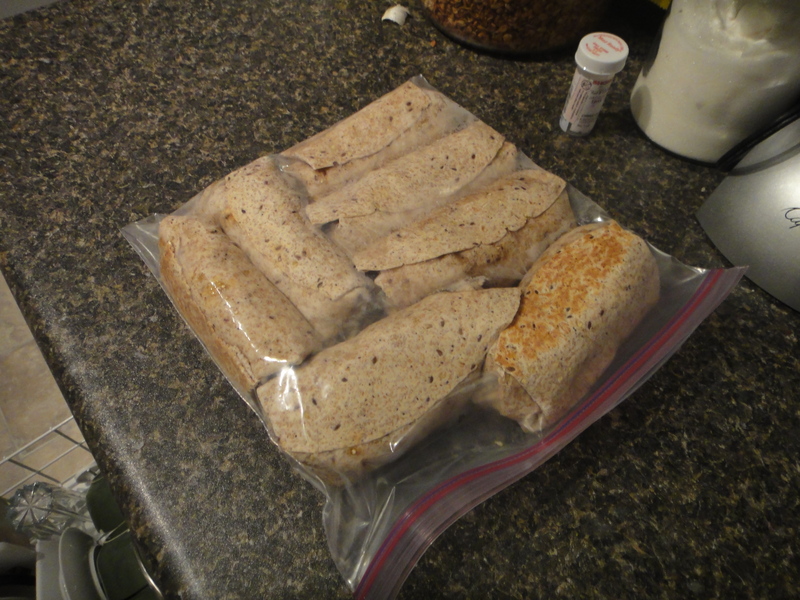 Here’s a perfect example: Freezer Burritos! Now, do you ever have days where you’re running out of the house, with no leftovers in the fridge, on your way to work and you’re not inspired by another sandwich? 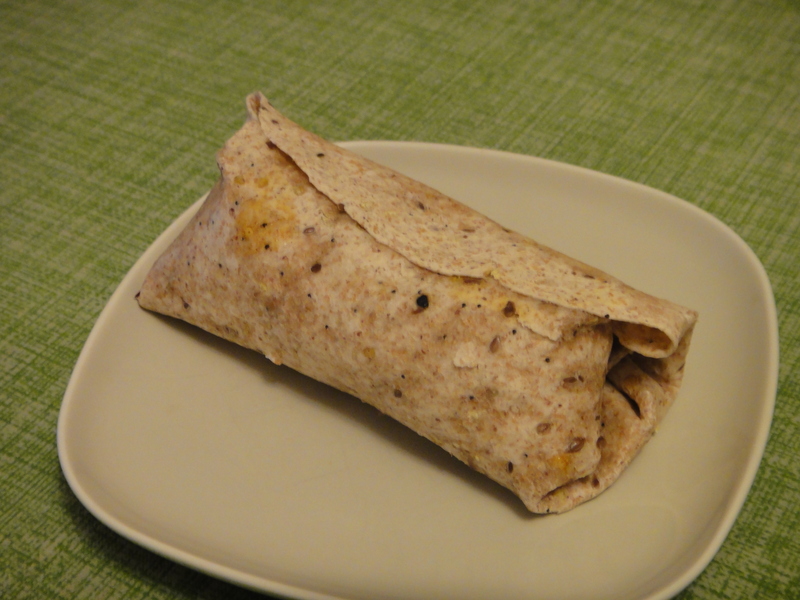 In steps freezer burritos: saving your mornings and taste buds! 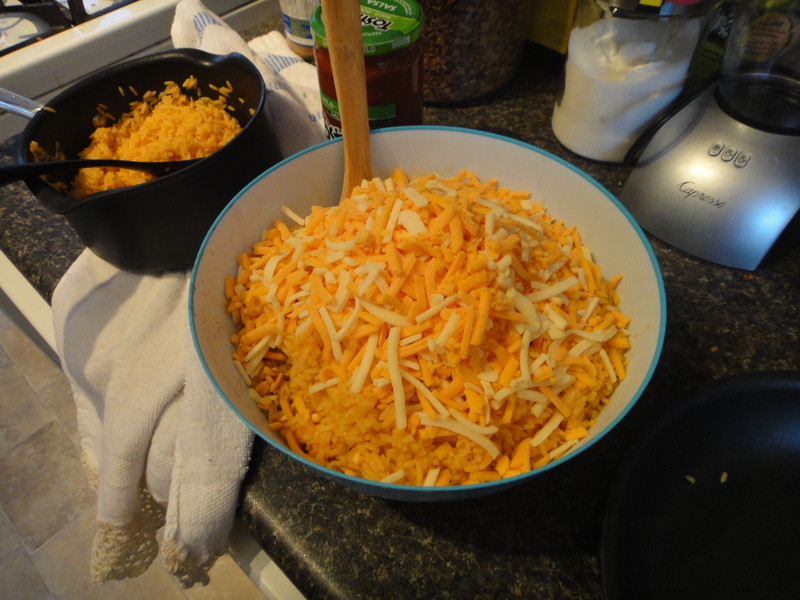 I opted to make mine cheesy and full of rice, to make as a full meal. First things first, I browned an onion with the ground beef, with plenty of seasoning for flavour. While the beef is browning, cook your rice. (I used an Uncle Ben’s package of Spanish rice. Super simple.) Throw in some black beans and frozen corn for good measure. I also added some salsa for more flavour. Next, the cheese. I would argue this is the most important part. Add lots of cheese. 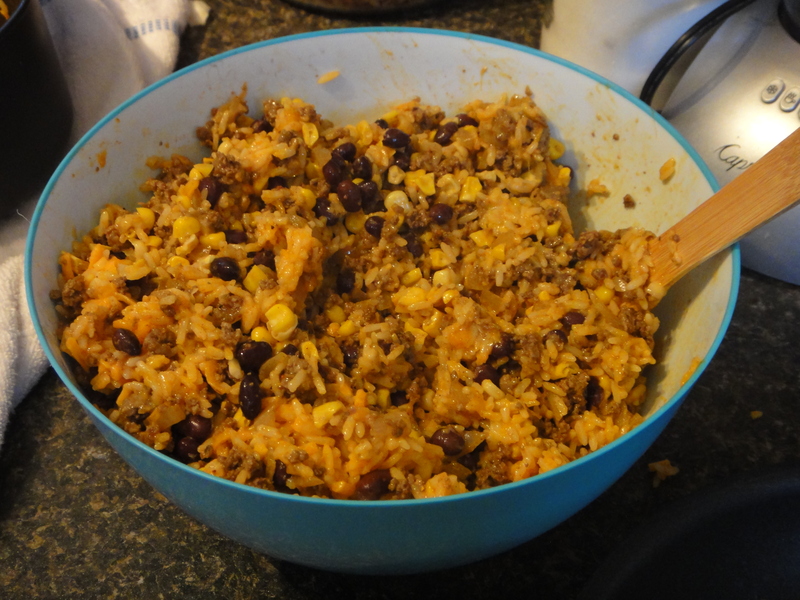 You want it to be ooey gooey when you heat up your frozen burrito another day! Fill the burritos, and roll then up tight. Then, in a non-stick pan, heat those bad boys up to seal the goodness inside. Tada! You now have a beautiful burrito to run out the door with! Begin by cooking your rice according to package instructions. 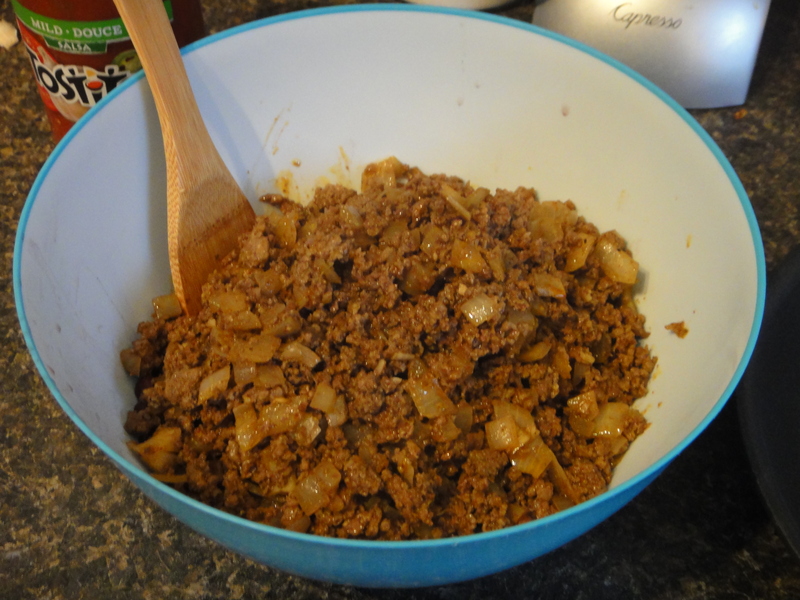 Then, dice your onion and brown it with the ground beef. Add seasoning and let simmer for about 10 mins, until fully cooked. Let cool a little then transfer to a large bowl. 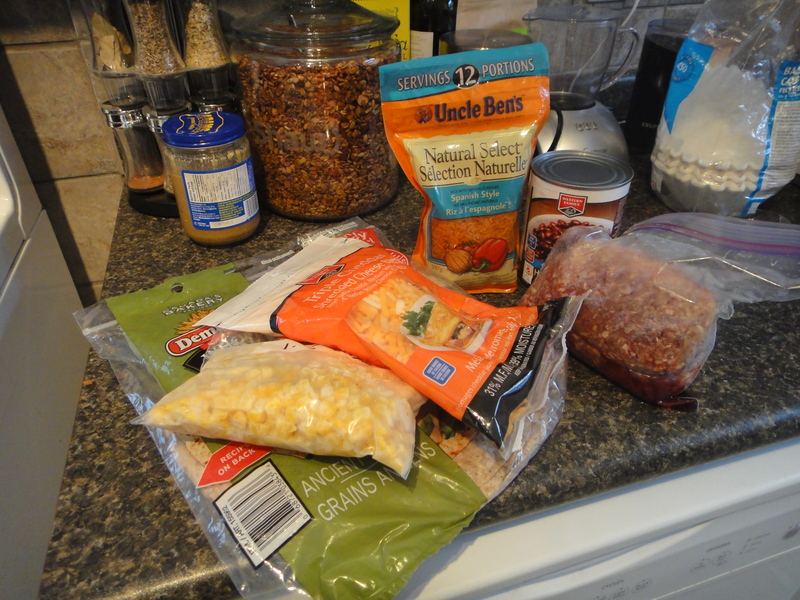 Add corn, beans and salsa. Once rice is cooked, add to bowl. Add cheese. Mix until fully incorporated. Fill tortillas and roll burrito style. 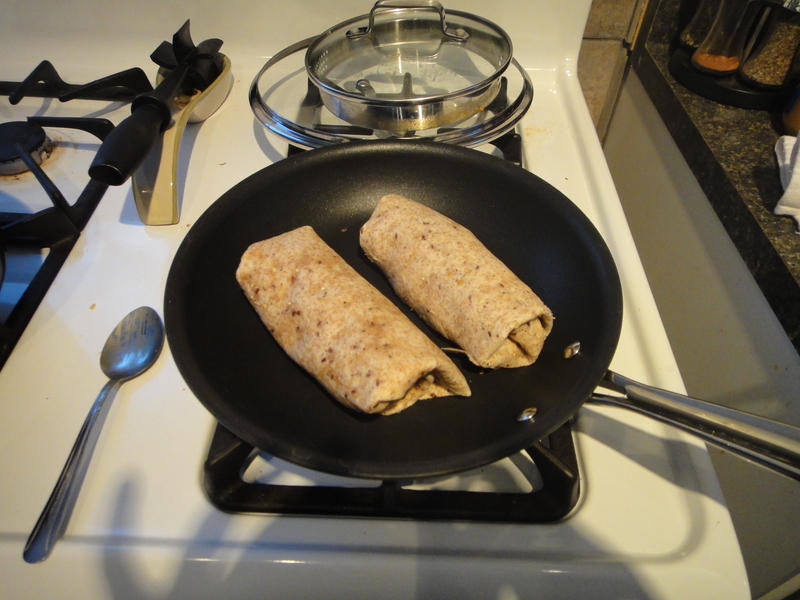 Using a hot non-stick pan, seal the burrito. Let cool before transferring to a freezer bag. You can freeze up to 3 months.